Eta Consults is a full service consulting firm that helps emerging companies navigate the challenges of sales, marketing, planning and growth. Eta Consults’ quickly and scalably provides an on-demand experienced sales team that is quickly engaged in driving revenue in a fraction of the time, cost and effort it would take to recruit and train a company “owned” team. This model allows for a quicker and less costly route to revenue. Our rates reflect a 30% discount on our combined services experience and our cost is less than 1.25 FTE’s who lack the experience we bring to your company. As well, this approach provides the flexibility to trial different sales models in an agile manner, since EC can quickly change programs and even staff should different tactics and skills become required. Eta Consults’ marketing professionals likewise provide the ability to quickly develop a brand platform and industry positioning that helps focus the unique selling proposition of a vendor’s key products and services. Without having to hire a CMO or recruit a stable of third party marketing service, EC can develop or help refine strategic positioning and thought leadership platforms, and produce marketing assets and programs that execute that. This model also lends the agility to hone the best positioning and marketing mix, whether that applies to industry influencers and analyst relations or what demand generation programs prove most cost-efficient. Eta Consults leverages a network of experts to help clients with a wide variety of services that will increase revenue and drive growth. Jason Simon is an experienced digital marketing executive who has spent his career working for some of the top marketing technology companies in the space. Having lead sales teams at Bigfoot Interactive, Epsilon, Datran Media, ClickEquations and StrongView; Simon has helped generate tens of millions of dollars in new business revenue by working with some of the world’s biggest brands. Having a keen understanding of sales management and the business development process and strategy, Simon has built sales organizations from scratch or has revamped teams with existing structures. Using years of experience and training, he has been able to create scalable lead generation programs, complex selling and integration processes to ensure manageable growth, develop sales people and manage complex budgets. He has worked with clients that range from top tier travel sites, brand name financial services and credit card companies, Internet Retailer 500 retailers and ecommerce sites, Fortune 1000 brands and more. For two decades David Atlas has created and told stories about products that excited buyers and influencers through a distinguished career managing marketing and business development for some of the most innovative information technology, personal productivity, and digital marketing solutions. 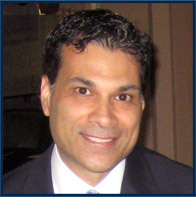 Expert in positioning, branding, strategy, communications, demand generation and product marketing, he formerly was SVP Marketing at StrongView, guiding its rebranding, launching the “Present Tense Marketing” thought leadership platform, repositioning the company as a marketing insight/action platform, and running a successful lead generation team. Atlas founded Collective Gain, a marketing consulting firm focused on startups in personal health and sustainability. As SVP of Worldwide Sales & Marketing at Goodmail, he drove market awareness and adoption for CertifiedEmail among mailbox providers and senders. At Connectix, as VP Enterprise Products, he launched the first Windows-based Virtual Server product which became Microsoft’s Virtual Server. He began his career at Lotus, where he worked in product management for Lotus Notes. 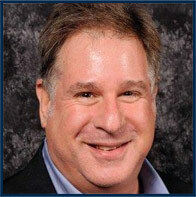 Ken Badler comes to Eta Consults with 18 years of sales and marketing planning and business analysis experience. Badler has spent years working with sales and marketing departments helping them understand the economic impact of their investments. Starting with Lever Brothers, Ken has lead business analytics at Jones Apparel Group, L’Oreal USA and McGraw-Hill Corporate GPMS in New York. Badler will lead Eta Consults financial analysis practice and work with clients to help them understand sales and marketing lift via cost, effectiveness and impact through data analytics. Additionally he’ll help clients understand cost reduction opportunities; assist clients on RFI and RFP reviews and analysis. Part of Badler’s practice will include development of high end reporting for management teams, new product innovation development and budgeting, forecasting and planning for operational elements of businesses. 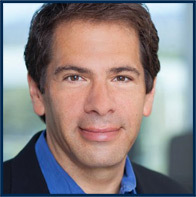 Michael Goldstein is an interactive marketing industry veteran with more than 20 years of experience leading high impact sales programs. 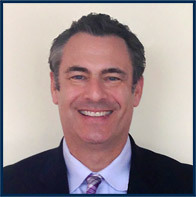 As Vice President of Channel and Inside Sales, and then Vice President of Strategic Accounts at StrongView, Goldstein strengthened relations with existing channel partners and created an inside sales team program to target hundreds of key accounts. The initiative has significantly captured qualified opportunities and quickly increased revenue. As Vice President of Sales for Goodmail, Goldstein was instrumental in growing CertifiedEmail volume from zero to millions of messages every day. He also signed marquee brands including Fox Digital, The New York Times, and Daily Candy as launch partners for Goodmail's groundbreaking video-in-email solution. Previously Goldstein was Vice President of US Sales at L-Soft, where he signed top corporations such as including Dow Jones, Wal-Mart, Putnam Investments, Bell Canada, and CNN/Turner Broadcasting. He graduated from the University of Maryland with a Bachelor of Science in Business and Management. 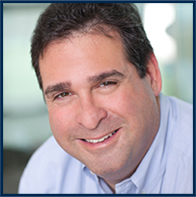 Jeff Simon has been in the direct marketing industry for over 30 years, with a comprehensive background in B2B and consumer marketing. 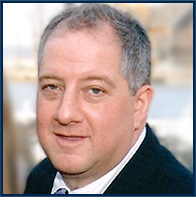 Jeff has an extensive background in traditional and interactive marketing. As vice-president of Direct Media, he managed and grew the card pack division into the nation’s leading card pack publisher and broker. During that time, he founded the DMA Card Pack Council. Jeff managed all aspects of the clients’ card campaigns, from concept, creative and media to execution for such leading companies as Diners Club, McGraw Hill, National Pen and Paper Direct. Jeff continued the business as an owner of Simon Direct and added clients such as Airborne Express, Pitney Bowes and Quill Corporation to the client roster. When internet marketing was born in the mid-1990’s, the business evolved into one that focused on helping direct marketers learn about email and develop successful email campaigns. During the 2000’s, Jeff helped clients such as Intuit, 20th Century Insurance and Allergan with multi-media campaigns that included display, postal and email campaigns. Recently, Jeff’s background led him to help grow data co-operatives at I-Behavior and Dataline. Adnan Shaben has more than 20 years business and technology career leading revenue-generating activities on behalf of companies ranging from zero to $400M. He has closed individual sales in the multimillion dollar range and $44M in regional sales. He uses his entrepreneurial mindset to engage customers so they understand how innovative technology can solve critical problems to help their companies grow. Most recently as Channel Sales Manager at InnerApps LLC he increased sales by 150% based on user counts for proprietary software (IDSync) for users of Autotask, Website Panel and Parallels. As Vice President, Sales of SeeMail, Inc., he took on a new venture and was Instrumental in development of the mobile app, including marketing and use case development. noun: the seventh letter of the Greek alphabet. In the system of Greek numerals it has a value of 8. Letters that arose from Eta include the Latin H and the Cyrillic letter И.
Powered by FZ Media Design, Inc.